“As money pours into media rights,” the report said, “naturally the amount of television and digital coverage increases as more content is needed to sell commercial inventory against.” The result is “thousands of new jobs across the sports media spectrum, from broadcasting, analysis, content production, and everything in between.” This means, there are more opportunities to break into sports media than ever before, with the potential to earn $90,500 or more per year. We’ve identified below several schools that meet all of the criteria of a “Best” school for aspiring sportscasters. Some schools offer hybrid programs, while others are delivered fully online. Our best online schools with sportscasting degrees are listed in alphabetical order, beginning with Full Sail University. Established in 1979 as Full Sail Productions, Full Sail University offers arts, entertainment, media and technology programs to 15,000 students across 210 acres of campus space, including 110+ studios and labs. Around 93 program options lead to an associate's, bachelor’s, or master's degree. Among these programs is a BS in Sportscasting that takes 29 months to complete, online. Students will also complete seven “Project and Portfolio” courses worth three credits each including Project and Portfolio I: Business and Marketing and Project and Portfolio II-VII: Sportscasting. In addition to Project and Portfolio courses, BS students will benefit from “guest faculty straight from the industry.” Jay Harris (Sports Journalist, ESPN), Sage Steele (Sports Journalist, ESPN), Ed Goren (President, Ed Goren Sports Media, Bill Simmons (Founder and CEO, The Ringer), and Kraig Kann (Sports Journalist, Consultant/Speaker, Golf Channel/NBS I Kann Advisory Group), are just a few. Founded in 1826, Mississippi College is the oldest institution of higher learning in the state of Mississippi. The school serves more than 5,000 students enrolled in more than 130 areas of study at the undergraduate and graduate levels. Programs are offered through a number of colleges and schools, and dozens of departments. 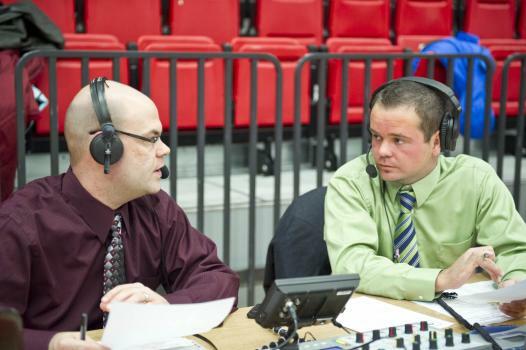 Programs for aspiring sportscasters are offered through the Communication Department, which is housed in the College of Arts and Sciences. Pathways include a BS in Communication with a Concentration in Sports Media, and an MSC with a Focus in Professional Communication in Sports. All Communications majors will take a foundational selection of courses in public speaking, communication law and research, public relations, mass media, graphic design, and journalism. Specific course titles for the 130 credit hour program include Communication Law, Communication Research, Introduction to Graphics Software, Mass Media Survey, Multimedia Journalism, Practices in Public Relations, Sportscasting, and Sports Journalism. The Professional Communication in Sports MSC allows graduates to “pursue his or her interests in both Communication and Sports Administration. As a graduate, they are uniquely qualified to bring knowledge in both fields to bear in their professional pursuits.” Students in the program can expect to take courses such as Athletic Administration, Basic Effective Leadership, NCAA Rules and Regulations, Process and Effects of Communication, Seminar in Journalism Ethics, and Societal and Ethical Trends in Athletics. Mississippi College is accredited by the Southern Association of Colleges and Schools Commission on Colleges (SACSCC) to award bachelors, masters, education specialist degrees, and doctoral degrees. Founded on Christmas Day in 1890, Oklahoma State University (OSU) serves nearly 24,700 students from more than 100 countries and all 50 states. Six academic colleges, plus a veterinary school and an osteopathic medical school offer 200 undergraduate majors and options, 79 master’s programs, and 45 doctoral programs. The College of Arts and Sciences houses the School of Media and Strategic Communication, which offers one of the largest stand-alone Sports Media majors in the world. For the 2014-15 and/or 2015-16 academic years, the OSU Sports Media program had more than 215 annual majors and declared pre-majors coming from 38 different U.S. states. One of the few stand-alone Sports Media majors in the world, the program was the first among NCAA-FBS member institutions to offer the major. Designed for students seeking careers with sports journalism outlets, such as serving as announcers, bloggers, broadcasters, columnists and reporters for online sites, newspapers, radio, social media and television outlets. Designed for students seeking behind-the-scenes careers in sports media production within the sports television, radio and film industries, as well as sports media digital production. Oklahoma State Sports Media has its own in-house video production team and many students intern with Orange Power studios, the new in-house video production unit for OSU athletics. Designed for students seeking sports media careers in collegiate sports information, public relations, community relations, advertising, social media management and sports marketing. Many students in this track work for OSU athletics communications and three are currently interning in media relations with the Oklahoma City Thunder. In addition to the BA program, OSU offers a Track in Sports Media in the MS in Mass Communications program. One of the few universities in the world to offer graduate education in Sports Media, OSU offers the program through a mix of in-class meetings at the OSU Stillwater and Tulsa campuses, and via online delivery. The program has Thesis and Non-Thesis options. Designed to prepare graduates to teach at the college level or to continue toward a doctoral degree, the Thesis option consists of 31 credit hours, including six hours of research. The Non-Thesis option is designed to help graduates advance their media and strategic communications careers. For the non-thesis option, students may complete Study Abroad (six hours abroad, one-hour formal report), Practicum (six hours practicum, one hour formal report) or a Creative Component Project (four hours, creative project). Students in the MS in Sports Media Track can also take SMSC courses in Media Management and Strategic Communications, while taking their outside concentration electives in Sports Management from OSU’s Spears School of Business. Oklahoma Christian University is accredited by the Higher Learning Commission (HLC). “Are there any master’s in sports communication programs?” Mastersincommunications.com, Mastersincommunications.com, 2017-2019. Web. 07 Feb. 2019. Belzer, Jason. “Sports Broadcasting 101: Breaking Into The Business Of Sports Media.” Forbes, Forbes Media LLC., 24 Feb. 2016. Web. 07 Feb. 2019. “North America sports market size from 2009 to 2022 (in billion U.S. dollars).” Statista, The Statistics Portal, Statista, 2018. Web. 07 Feb. 2019. “Reporters, Correspondents, and Broadcast News Analysts.” Bureau of Labor Statistics (BLS), United States Department of Labor, 13 Apr. 2018. Web. 07 Feb. 2019. Top Online Schools with Sportscasting Degrees in the U.S.